Outset's Cast Iron Sauce Pot with lid and nesting silicone basting brush is the perfect way to keep basting sauce around the barbecue. 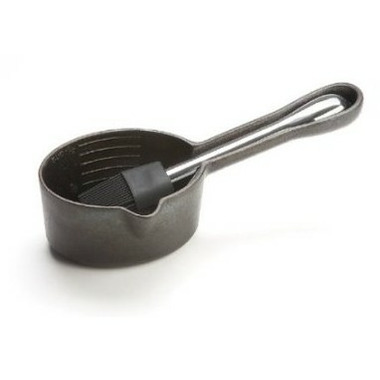 This ideal sized pot is perfect for barbequing sauces. Features nesting handle for brush meaning no more lost brushes! Cast iron heats evenly and the health benefits of cast iron cooking are well known. Just what I've been looking for. Great little Cast Iron Pot!